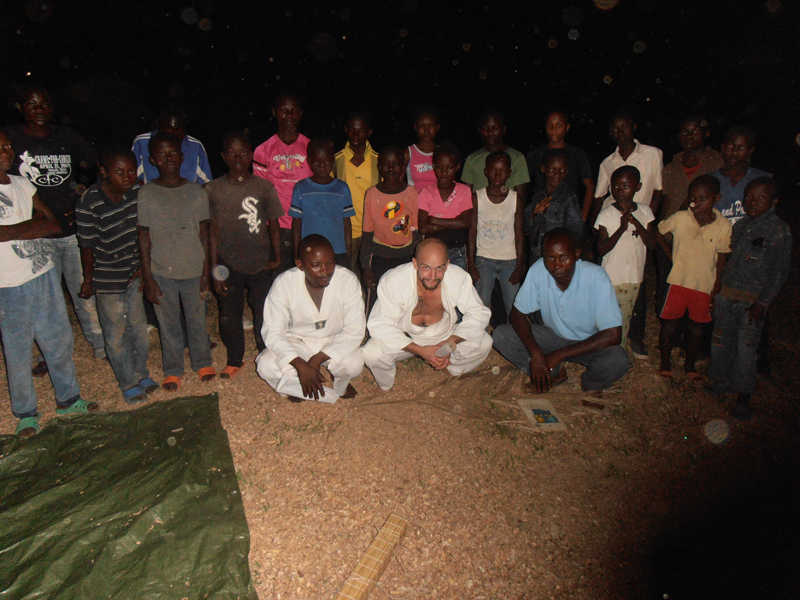 At 6 o’clock, two men dressed in white took off on their morning jog, Christoffer and Bickbick. The agreement reached yesterday was effected. They ran along the streets of Luozi and were hailed by many on their way. Christoffer concluded that it was the best jogging path he had ever ran. 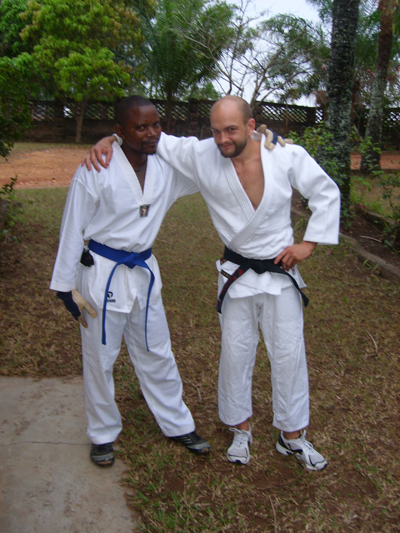 They had been announcing on the local radio that a Swedish judo trainer were coming to Luozi. An employee on the ferry was also told that he had a judo coach among the passengers. His two sons would attend judo practice, he said. Today, Christoffer had meetings with his judo friends Bickbick and James, of which the latter speaks English, and together they planned the four weeks of his stay. 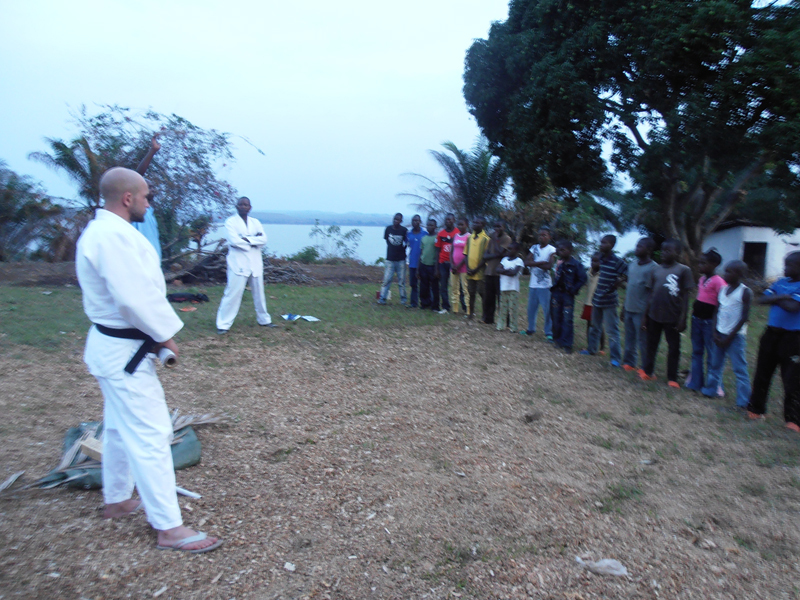 Tomorrow, they will set up the inauguration of the Luozi judo club. We had breakfast at 7:30 with Apg 29 and at 9 a.m. we were going to meet with the entrepreneurs. Congo time was applied in part, which meant that we were on track half an hour after schedule already. Julienne and Yapeco went through the training material. We repeated what we went through in February adding some complementary information. For example, we try to get the groups to use a very simple and effective accounting method. I told the participants the stories of a few successful entrepreneurs and how a laborious and purposeful entrepreneur can reach success. We will also have individual consultations with each of them. 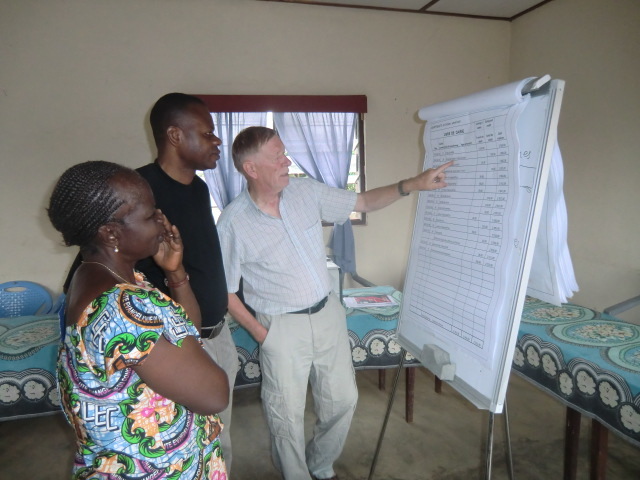 During the afternoon we had two consultations, and we will continue with the rest tomorrow. 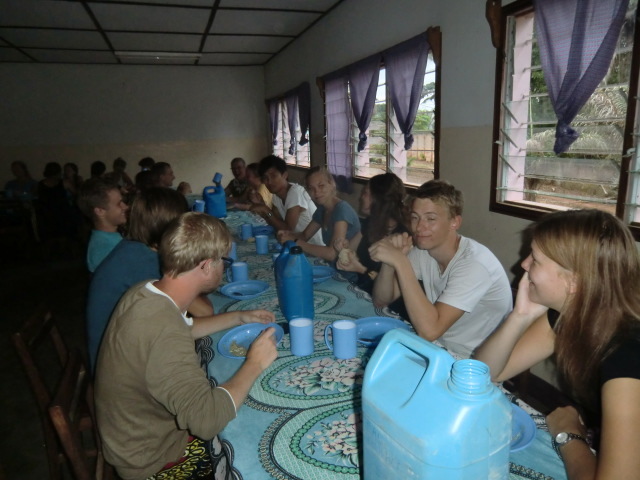 We had dinner at 1 p.m. and supper around half past six, also this time with Apg 29. After supper, I went to Gunnel Jönsson to charge my laptop. She has solar energy equipment that can give you 220V. 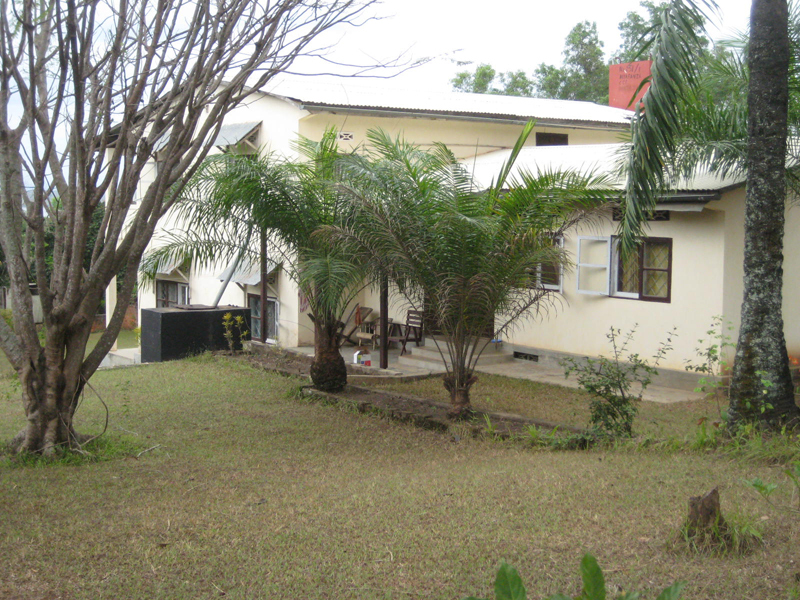 Luozi is a little complicated in terms of electricity supply, because there is no power routed. Here, diesel generators or solar cells apply. The church’s generator has been broken for a while but luckily, it got fixed the last couple of days. It delivers power in the morning between 9 and 11 to the Church Administration Building. One must therefore take the opportunity to make all print-outs there, at that time of the day. These lines are written in the light of a solar cell lamp. We use the samples we brought from Sweden. 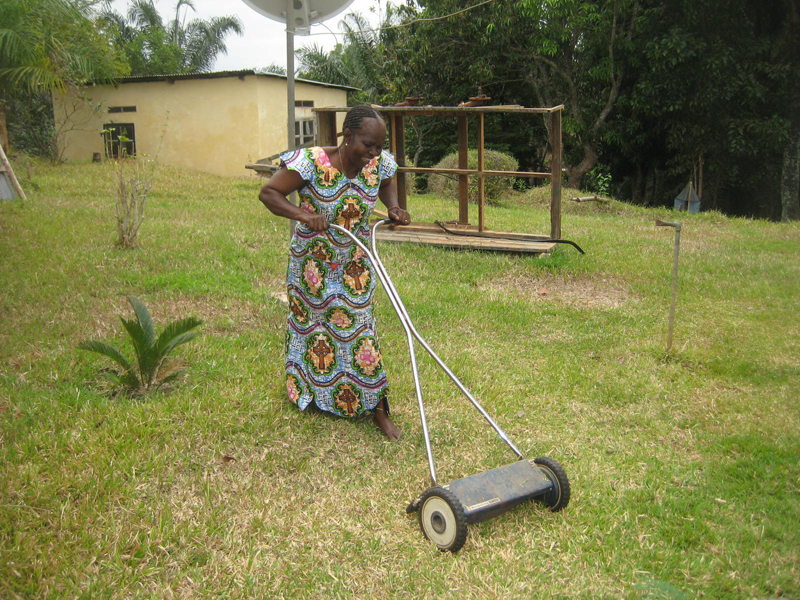 This afternoon was Bengt helped Julienne to fix the the lawnmower she got from Sweden this spring, a Husqvarna. 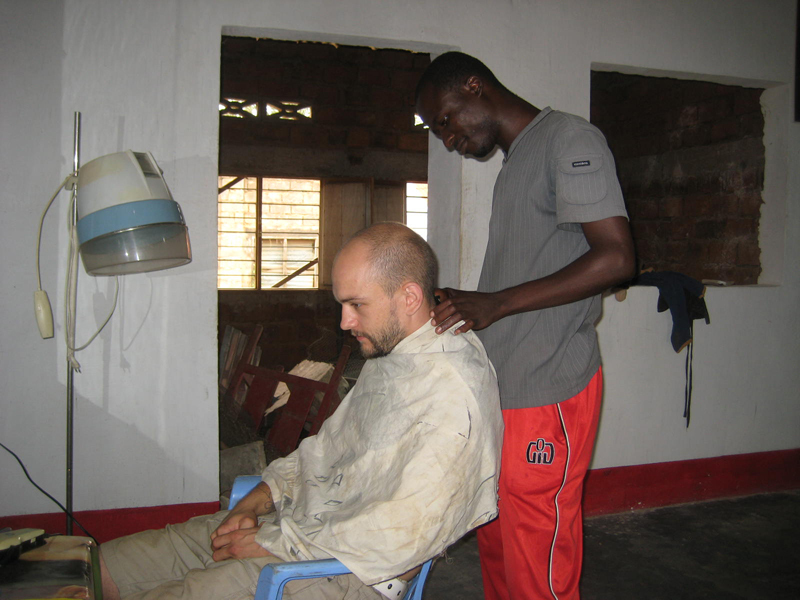 Christoffer needed a haircut and found a professional in this field to help him out. Tonight Bertil Åhman came to visit us togehter with two car repairmen and Lendo. They helped us sort out the question who will install the new engine of the church’s truck. 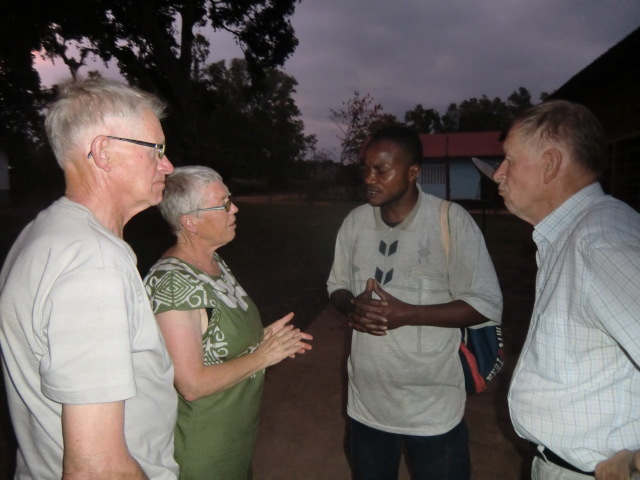 On the initiative of Bernt, 25 congregations in western Sweden has collected money for the purchase and shipping of the engine to Congo. It is clear now that the installation will be performed by technicians at site. The engine has been bad for over a year and has been kept running on artificial respiration. Last week, the truck stopped definitely and is now standing by the road to Kingoyi, 70 km from here.